They’re great for…Letting people know the theme of your hen party (if there is one) and indicating the tone of the party. You don’t need them if…You are having a small hen party with close family and a few friends it can be easy enough to just let them all know the details. They’re great for…Personalising your wedding gifts to people. Guests appreciate individually named gifts. You don’t need them if…You are having a very large wedding and it would take up hours of your life to attach each tag. They’re great for…Giving your guests time to mull over the menu choices and outlining menu choices for those with dietary requirements. You don’t need them if…You have asked guests to select their course choices beforehand or if you are having a buffet. They’re great for…Letting guests know how the ceremony will run and alert them to any religious customs they may not be aware of. It also lets everyone know who is in the wedding party on both sides. You don’t need them if…You are having a very small wedding or a particularly short ceremony. They’re great for…Getting a personalised message from everyone at your wedding just in case you miss speaking to anyone on the day. You don’t need them if…You are having a small wedding or know you will speak to each guest on the day of the wedding. It is also worth bearing in mind that your wedding videographer may also get personalised messaged from guests. They’re great for…Surprising any bridesmaids that may not know they would be asked. You don’t need them if…You have already asked all your bridesmaids in a squeal of excitement the minute you got engaged. They’re great for…Making sure none of your guests are double booked well in advance. You don’t need them if…Your wedding is within 3 months of your engagement. They’re great for…Making the start of your reception a calm affair for guests. It is also important that your dear granny doesn’t end up at the back where she can’t see. You don’t need them if…You need a seating plan, even at the smallest of weddings. They’re great for…Thanking all your guests personally for attending your wedding and giving you gifts. You don’t need them if… Always send thank you cards. 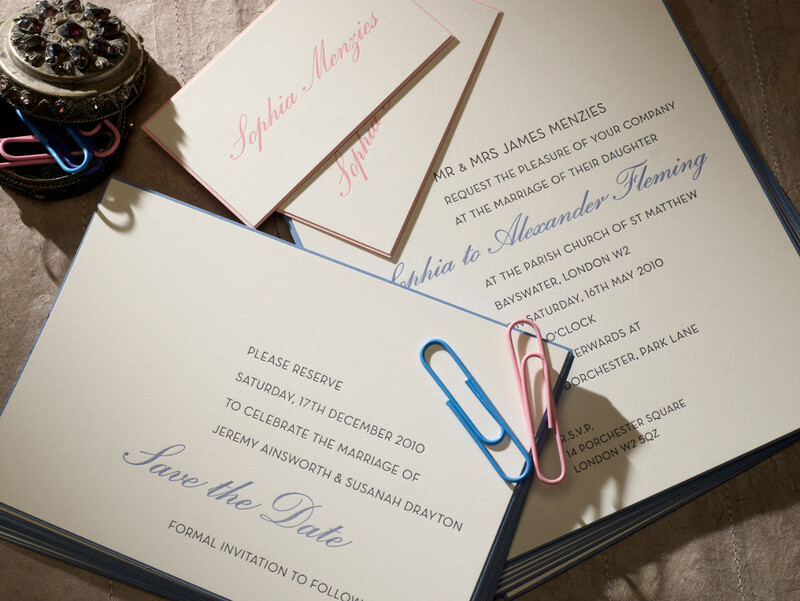 You don’t need them if… You need them, you always need wedding invitations to not only notify people of the event, venue and times but to also get numbers for your wedding and remind guests when it is.